Measures approximately: 7.50 x 4.50 x 1.13 inches.. 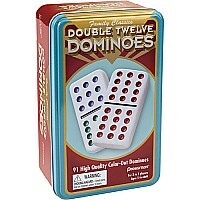 These 28 jumbo crystalline dominoes are packed in a striking tin box - beautiful to look at, convenient for storage! Bright color dots add an extra touch to the game! 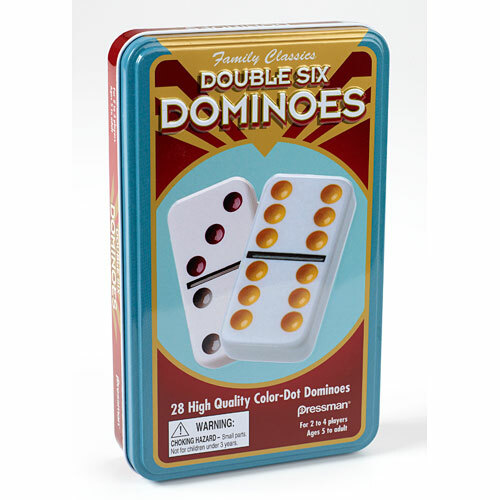 Rules, Mexican Train Starter piece included.For 2 to 4 players,ages 7 to adult.